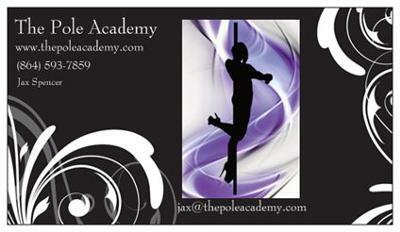 Welcome to The Pole Academy! Earn your degree in strength, beauty & confidence! I teach lessons that include proper stretching and breathing techniques. I do a FREE consultation to explain in depth what I am doing and what I want to do with you. I cover many different areas such as overall health and well being, pole safety, dieting, etc. I’m hold private & small group lessons those of you wanting to try it! I have an intense workout curriculum that will help you with your fitness goals. OPEN M-W 10-9, Thurs 10-6, & F-S 12-6.